As young children, we acquired our native language via relevant, personalized, compelling comprehensible input. Unfortunately, this is lacking with most foreign language programs. Fortunately, finding solutions is easier than ever, once we know what to look for. 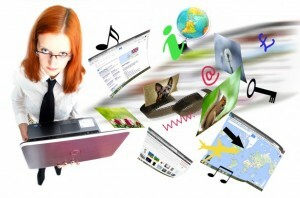 Appropriate input might include videos, music, television, news articles, podcasts, books, conversations, sports narrations, and more. You’ll be glad to know that you can find TONS for FREE! 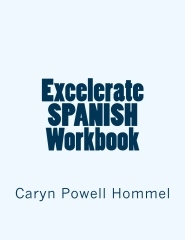 Explore these ideas to access, adapt, or create comprehensible input… all excellent ways to accelerate your way to the proficiency you want! To evaluate the usefulness of resources that you find, make sure that the level is not too difficult for you (not frustrating) and that the content appeals to you personally. Also, extended contexts are highly preferable to disjointed, rapidly changing contexts— in other words, stories and other connected discourse are best. Plus, they’re just more fun. Win-win! To find comprehensible input for the foreign language of your choice, simply google the words “comprehensible input” along with the name of the target language (e.g., “comprehensible input mandarin chinese”). Then narrow the results according to the criteria above. Spend a little time each day with a good comprehensible input resource. Things NOT to worry about just yet: Perfection. Grammar (conjugating verbs, learning structures). Translation. Producing the sounds correctly yourself. These things have more to do with output than input… and that’s putting the cart before the horse. Relax and enjoy the input. 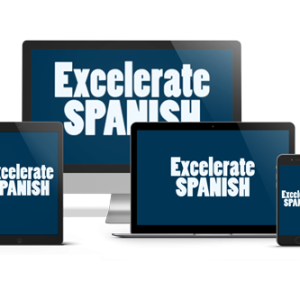 When you are ready to go with a curriculum, please check out Excelerate SPANISH. It provides tons of compelling comprehensible input via humorous scenarios resembling real-life situations. 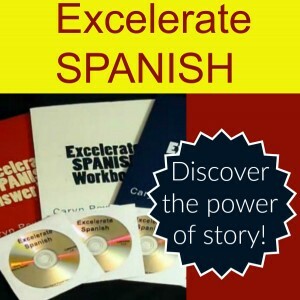 This makes learning Spanish fun, effective, and memorable! I hope this post helps with your personal quest. If you find any really great free resources and think we should all know about them, please pass on the good news!